I'm not much of a makeup girl. That is to say, I love makeup, but on a day-to-day basis my face is usually pretty bare. Looking at my senior portrait from high school, it's safe to say I wore more makeup back then than I do now. Shudder. I've had several friends wax poetic about the wonders of their Clarisonic but I was hesitant about buying one. Being moderately stingy, I was a little hesistant about the high pricetag on these skin cleansing brushes: they run between $150- $225, depending on the model. How much better could it really be? Then a Clarisonic PLUS Sonic Skin Cleansing System showed up on my doorstep as a perk from my membership in the Vogue Influencer Network. Would it live up to the hype? The PLUS includes a handle, charging cradle, a brush head for sensitive skin, a body brush head, 1 oz. trial sizes of Refreshing Gel Cleanser, Gentle Hydro Cleanser and Nourishing Care Cleanser and a 2 oz. trial size of Refining Skin Polish for body. I didn't realize that it did double duty as a facial cleanser and a body smoother. It has to be recharged for 24 hours before first use, so I took some time to read up on its history. I'm a huge fan of my rechargeable toothbrush, so I was impressed that the Clarisonic system shares its technological DNA with the Sonicare: both were created by the same primary inventor and use similar patented sonic frequency to enhance cleaning power. I couldn't wait to give it a go. I have always taken care of my skin, using decent quality skincare since college and coming from a long line of relatives who look much younger than they are. 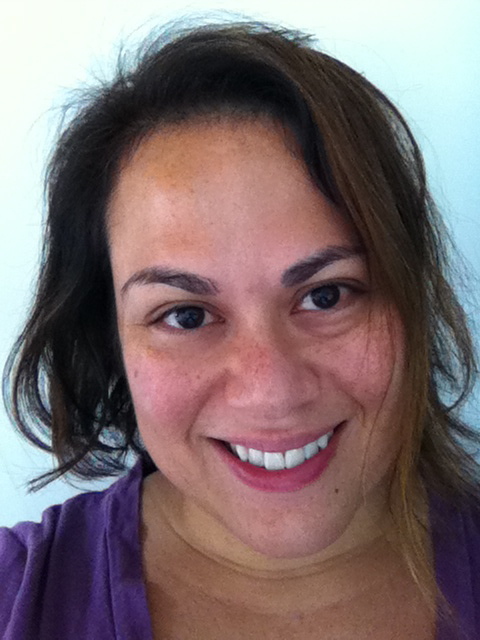 I've never had many problems with my skin- no acne or wrinkles or blemishes to complain about. 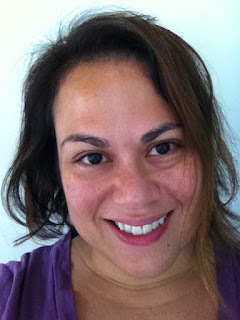 One of the reasons I never took the plunge and forked over the dough to buy a Clarisonic was because I thought my skin already looked pretty good for a 40 year old mother of two. Bear in mind that I am a skeptic by nature and then let me tell you about my initial impression: my skin actually felt noticeably different after ONE use of this contraption. No joke. Two weeks in and I've had multiple people tell me how radiant I look. I haven't been called glowing this often since I was pregnant, and I am quite sure that I am not in that condition now, thank you very much! Even my husband, who is more skeptical about beauty products than I am, acknowledges the visible and tangible improvement. My dad is going to ask when I developed freckles (and why I never brush my hair) but I think you can see the evenness of my skin tone in this unretouched photo. Now I desperately want to try the Clarisonic Opal, which reputedly does wonders for puffy dark circles- my personal beauty demon. 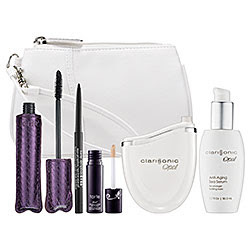 Especially covetable: Sephora's exclusive Clarisonic Opal Sonic Infusion System with Tarte eye makeup trio. The Clarisonic PLUS body brush attachment has also been a lifesaver for me. I've had ingrown hairs on my upper arms and the backs of my legs since I was a kid and using the body brush has made a huge difference, much more than sugar scrubs and other exfoliants ever have. I feel like a real smoothie! 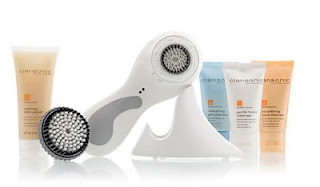 In accordance to the FTC Guidelines and the WOMMA Code of Ethics, I am disclosing that I received the Clarisonic PLUS Sonic Skin Cleansing System as shown above via the Vogue Influence Network. I was asked to try the device out and share my thoughts with the group. I was not compelled to write about it and I did not receive any monetary compensation. All opinions are, as usual, strictly my own.